How many glasses of elderflower cordial can one woman drink during the course of her pregnancy? I’ve loved elderflower since I was a little and used to help my granny make big batches of the stuff. We’d spend a morning picking the delicate white buds from the bushes around the apple farm, snaring any high up branches with her walking stick, before heading home for lunch. The picked stalks would steep in water, citrus peel, a slightly scary amount of sugar and citric acid, the odd stray bug bobbing on the surface until it all got strained into bottles of sweet, floral cordial. It’s safe to say I’m a big elderflower fan, and I love that it’s offered everywhere as the non-alcoholic option of choice, but eight months into this pregnancy and it feels like time for a change. Plus, it’s Christmas. This cocktail, or mocktail, is made with two of the season’s most celebrated fruits. 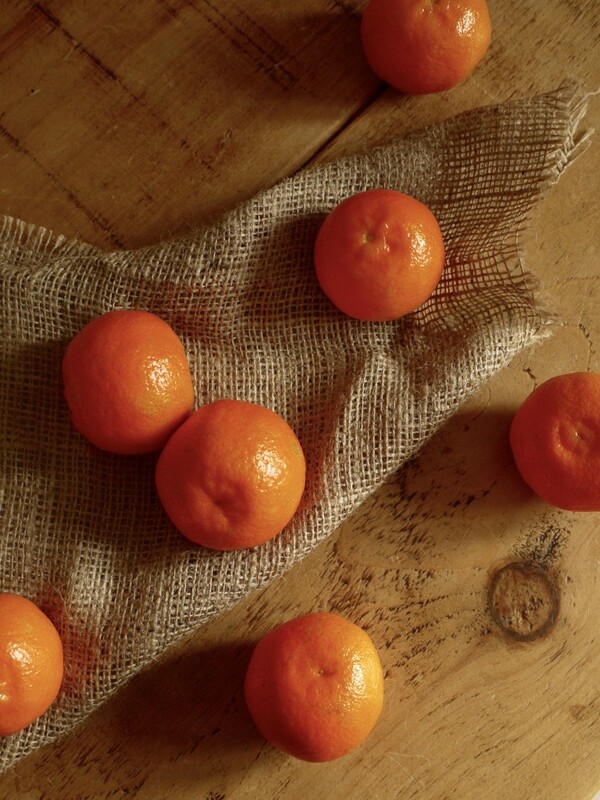 Come December, there are fairly slim fresh produce pickings, but clementines and cranberries shine through the drabness with colour and flavour, freshness and tang. 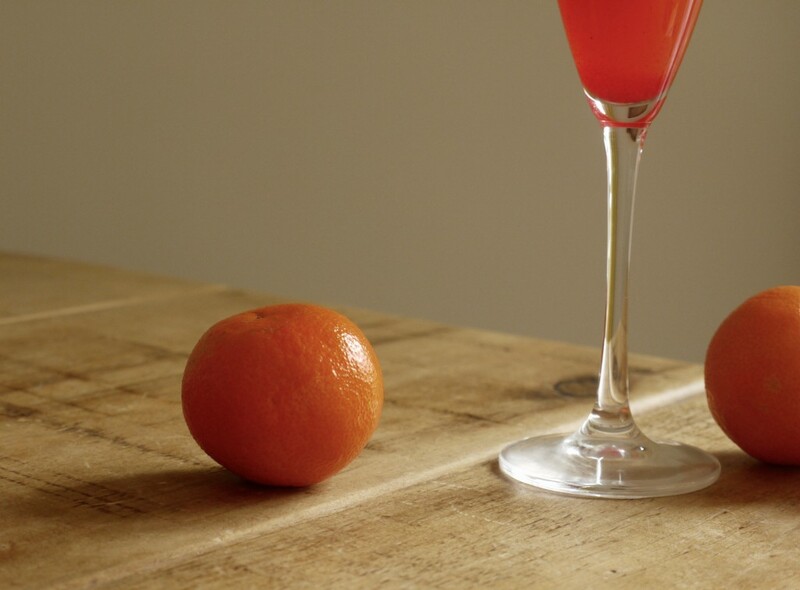 A clementine bellini is a handsome thing if you’re drinking, but if you’re not the sparkling sweetness of prosecco can be replaced with a drizzle of syrup and a splash of fizzy water. The cranberry cordial here is a very basic mixture of fruit, sugar and water with just a squeeze of lemon. The cranberries are cooked for a short amount of time – any longer than around 8 minutes and you’re going to end up with cranberry sauce, or jam, as the pectin releases from each bursting berry – then strained, without stirring, resulting in a clear and ruby red syrup. Cooled and bottled this syrup will last for several weeks in the fridge, although over the Christmas season I’m pretty sure you’ll use it up in days. For anyone of a more alcoholic persuasion, the sparkling water can be replaced with a Christmas fizz of choice. 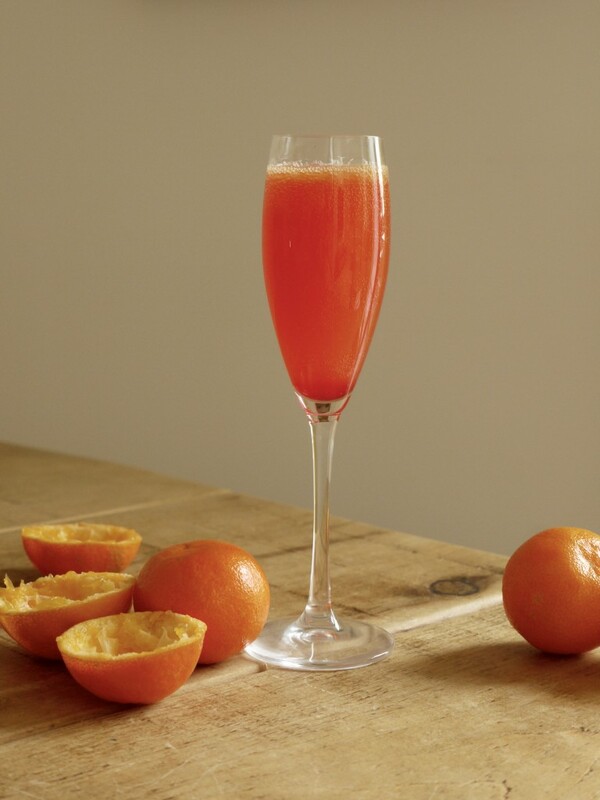 The cordial and prosecco would also be lovely on their own, but if – as Carnivorous Husband no doubt does – you intend to time your first festive tipple to coincide with breakfast, a splash of clementine juice might just do the job. Here’s wishing you and yours a wonderful holiday, with family, food and love by the glassful. A sweet, sparkling mocktail, perfect for pregnant ladies during the festive season. If your guests are of a more alcoholic persuasion, top with prosecco instead of fizzy water. 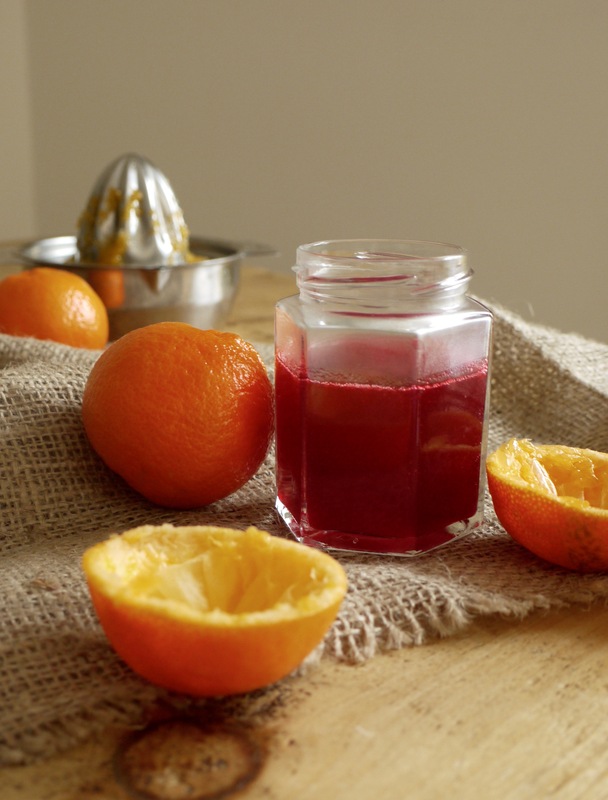 This recipe makes more cordial than you will need. To make the cranberry cordial, combine the cranberries, sugar and water in a medium saucepan. Bring to the boil then reduce the heat and simmer for 6 - 8 minutes, without stirring, until the liquid is ruby red and some of the fruit has burst. Be careful not to cook the cranberries too long - they contain a lot of pectin and can easily end up as jam. 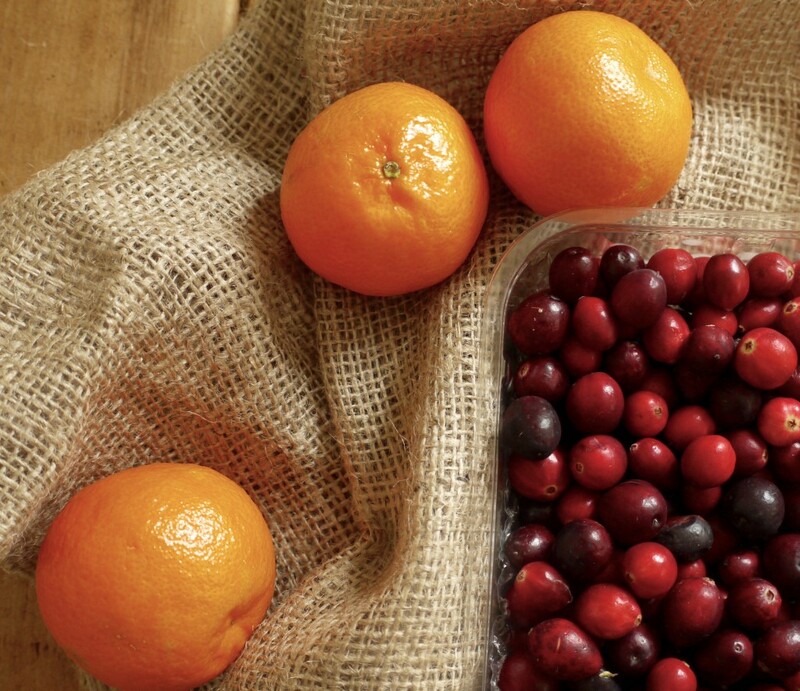 Strain the cranberry mixture through a fine mesh sieve into a clean bowl or jug, without pressing down on. Reserve the cranberry pulp for another use (it's delicious stirred into porridge). Transfer the cordial into a sterilized bottle or jar and leave to cool completely. Place four champagne glasses in the freezer to chill. To make the sparklers, pour one tablespoon cooled cordial into the bottom of each champagne glass. 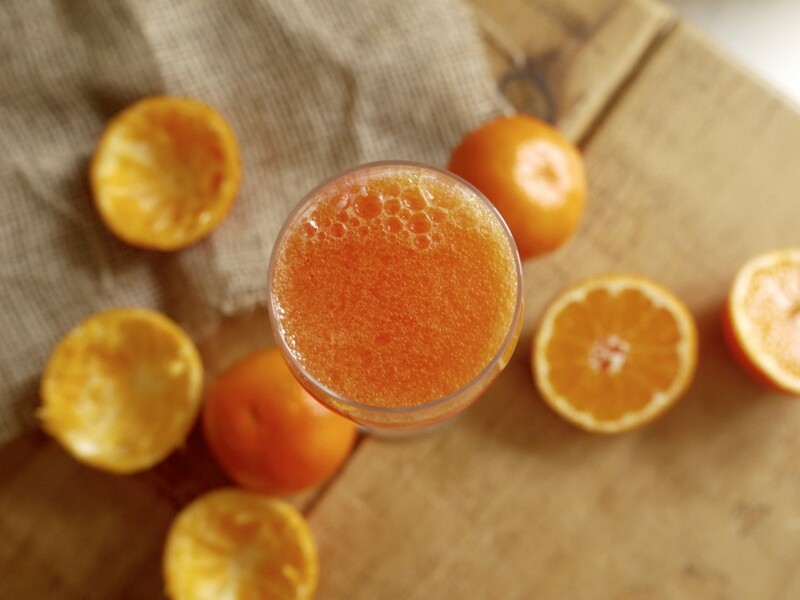 Divide the clementine juice between the glasses then top with sparkling water (or prosecco if your guests are drinking alcohol). The cordial will keep in the fridge for at least two weeks.